Click here to visit the Pine-Sol site and click “View-How To’s.” Then for one of their topics, click “Get The Pine-Solve.” That’s it! You’ll get a notification on the bottom left to let you know if you’ve won or not. If you win, they’ll ask for more details. Good luck! 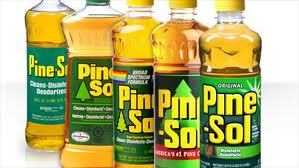 200 Grand Prizes: Pine-Sol scented candle. 175 First Prizes: $25 Visa digital gift code. 8 Second Prizes: $10 Digital Music Download code. 9 Third Prizes: $5 Digital Music Download code. 63 Fourth Prizes: $5 eGift card. 60 Fifth Prizes: $1 Digital Music Download code.